Birmingham Post editor Stacey Barnfield has resigned from his post after two years. Barnfield made the decision to leave a day after Trinity Mirror announced it was to cut 25 Midlands jobs. Barnfield was made editor of the Post in March 2013 after working for the Birmingham Mail, also owned by Trinity Mirror, as executive editor for four years. Last week, before Barnfield announced his resignation, Trinity Mirror said it would be cutting 19 jobs in its Birmingham newsroom and six in Coventry as part of a restructure. 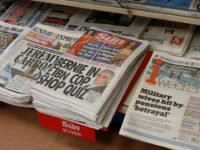 The proposed cuts were described as “devastating and demoralising” for local journalists by Chris Morley, the National Union of Journalists’ (NUJ) Northern and Midlands Organiser. 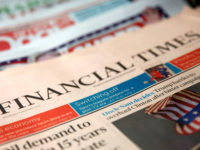 In a written statement, former Birmingham Post editor and current Trinity Mirror Midlands editor-in-chief Marc Reeves said that Barnfield had “made an impact in all of his roles” at the Birmingham titles. He said: “He was pivotal in the Mail’s evolution into an award-winning digital title, leading digital developments here when he was executive editor. “As editor of the Birmingham Post, he took the title even further on the digital journey, launching the Birmingham Post app and more than doubling its online audience in a year. “He has also introduced pioneering initiatives such as the enormously popular 'Hidden Spaces' project which has gone from a supplement containing pictures of rarely-seen Birmingham buildings and locations into an exhibition visited by thousands. “He goes with our very best wishes and thanks for all he has achieved over a great many years." Barnfield began his journalism career in 1992 working for the Solihull News before becoming a Sunday Mercury sub-editor in 1997. He then worked for five years at Trinity Mirror’s magazines division, first as design editor and later as editor-in-chief. In 2005, he was appointed assistant editor of the Birmingham Mail and become the newspaper’s executive editor in 2008. He is also chairman of Birmingham Mail Charity Fund and a Birmingham Press Club board member. No date has yet been set for his departure.